For months, our timelines, statuses, and inboxes have been overflowing with responses, opinions, and petitions related to Hip Hop Culture. Every week there seems to be a new story resulting in outrage or support for a particular artist. To add to this, we are watching events unfold nationally that have us at our wit’s end. Like many of you, I too am questioning what is going on socially, culturally, and politically. And similar to a family affected by alcoholism that ignores the addiction and focuses on “the problem child,” members of Hip Hop Culture are overlooking the big picture. Lately we’ve put pressure on major corporations and have seen results. Now what? We raised our voices until the President of the United States made a speech about gun violence in Chicago. Okay. The scholars debated and weighed in. Facebook and Twitter were on fire. But where do we go from here? 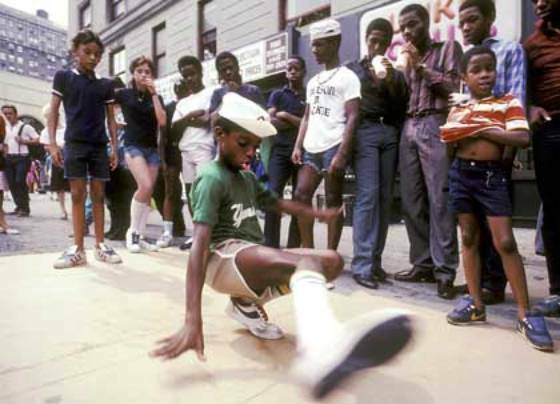 Many outside the Culture recognize Hip Hop’s positive attributes. But how do we view ourselves? We are what Hip Hop looks like when it’s grown for real, and now it’s time for us to realize our full potential. The elements of Hiphop Kulture may be traded for money, honor, power, respect, food, shelter, information, and other resources; however, Hiphop and its culture cannot be bought, nor is it for sale. It cannot be transferred or exchanged by or to anyone for any compensation at any time or at any place. Hiphop is the priceless principle of our self-empowerment. Hiphop is not a product. We must let go of the weightless clichés limiting our progression. “Hip Hop” is not an exclusionary label, and rap will always be part of Hip Hop Culture. Women have been a constant presence in the Culture since its inception. From the outset, adults have never understood the Street Fashion element of Hip Hop. Southern artists have shaped the Culture for decades. And rap music has always included a wide array of subjects from the entertaining to the enlightening. Too often we are focusing our “debates” around what’s missing or different with Hip Hop. Our dialogue is sounding more and more like those who are outside of the Culture. Enough is enough. It’s time to shift our focal point to what’s right. Hip Hop, as we know it, evolved into existence as the result of young people finding their voices. It is critical we remember our power has been present since the beginning. Hip Hop Culture was created by us and we still call the shots. It is time to reclaim our voices and elevate our impact within the Culture. As members of Hip Hop Culture we must be proactive, and not reactionary. According to the ninth principle of the Hip Hop Declaration of Peace, May 3rd is Rap Music Day, the 3rd week of May is Hip Hop Appreciation Week, and November is Hip Hop History Month. At these times, let us celebrate with intention, while working on behalf of our Culture teaching lessons that will propel Hip Hop forward. Whether it was in the 70s, 80s, 90s, or 00s, let us remember why we fell in love with Hip Hop. We must trade alibis and judgment for authenticity and purpose so our greatest impact can be realized. Now is the time!